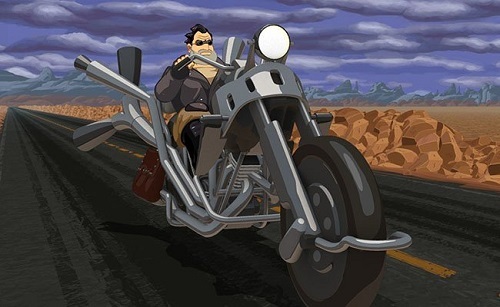 This week we check out the recently release remaster of the LucasArts classic, Full Throttle. I feel like comedies are difficult to discuss in the manner we usually dissect video games. Instead of going into story details, much of our discussion is concerned with the mechanics of how the game functions both literally and thematically. I make a comment near the end of this podcast that we didn’t really discuss the story all that much. Instead we focus on the pieces that make up the world and the game. We didn’t discuss how to talk about Full Throttle, just that’s how we seem to instinctively discuss comedy games. You can find the episode on PopMatters, SoundCloud, iTunes or through the RSS feed.